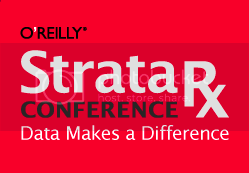 San Francisco, CA (Oct 16, 2012) – Metric Insights announced today at O’Reilly Strata Rx Conference in San Francisco a new healthcare analytics solution for hospital readmission rate tracking. A demonstration of the solution can be seen at Metric Insights’ booth#207 in the exhibit hall at the O’Reilly Strata Rx Conference in San Francisco from October 16th-17th. Healthcare organizations are being challenged with new data-driven regulations that affect the bottom line, such as ARRA meaningful use measures and CMS penalties for hospital readmission rates. Metric Insights’ hospital readmission rate solution allows healthcare professionals throughout an organization to have instant access to both hospital-wide readmission rate numbers as well as the contribution from their ward or area of responsibility. Unlike traditional business intelligence (BI) approaches or toolsets that require users to constantly hunt and search for information in dashboards, Metric Insights delivers critical information to physicians, providers and administrators when they need it the most using a specific Healthcare Business Intelligence. About Metric Insights: Metric Insights is a business intelligence tool that adds context to data enabling busy professionals to take quick action, often in 60 seconds or less. Metric Insights extends insight to all internal business users (C-level executives, physicians, administrators, operations, HR, etc) in your company, and to external customers, partners and providers outside of your company. Companies typically get their first visualizations up and running in hours or days, compared to weeks or months with other business intelligence tools. O’Reilly Media spreads the knowledge of innovators through its books, online services, magazines, and conferences. Since 1978, O’Reilly Media has been a chronicler and catalyst of cutting-edge development, homing in on the technology trends that really matter and spurring their adoption by amplifying “faint signals” from the alpha geeks who are creating the future. An active participant in the technology community, the company has a long history of advocacy, meme-making, and evangelism. Sorry, we couldn't find any results. Please try another search term. © Metric Insights. All rights reserved.